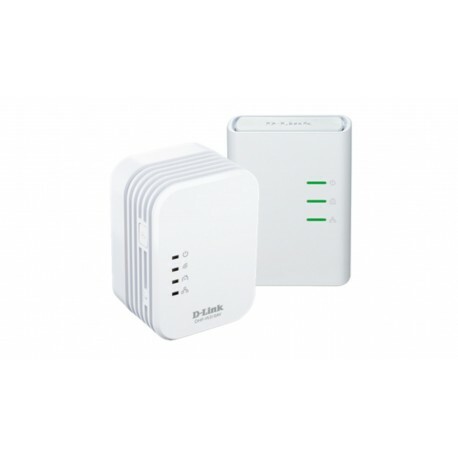 The DHP-W311AV PowerLine AV 500 Wireless N Mini Starter Kit allows you to extend your existing home network to enjoy high-speed and reliable connectivity throughout your home. The PowerLine AV 500 Wireless N Mini Extender features both wireless and PowerLine. This allows you to benefit from PowerLine networking, compliant with the HomePlug AV standard that uses your existing home electrical wiring to extend your home network. The wireless ability allows you to increase the area in your home where you can use your wireless devices. Data transmission over electrical wiring. Faster wireless speeds and wider operational range. Ideal for bandwidth intensive applications. This kit is capable of delivering PowerLine AV 500 data transfer rates of up to 500 Mbps and Wireless N speeds of up to 300 Mbps. This rapid transmission speed makes it ideal for bandwidth-intensive applications, guaranteeing smooth HD video streaming, clear VoIP calls, and lag-free online gaming experiences. In addition, it prioritizes Internet traffic, ensuring that multimedia applications do not experience glitches while web surfing and downloads are in progress. This device provides ample network bandwidth, enabling digital home consumers to tap into existing electrical wiring for high-quality multimedia streaming. Convenient setup and secure operation.